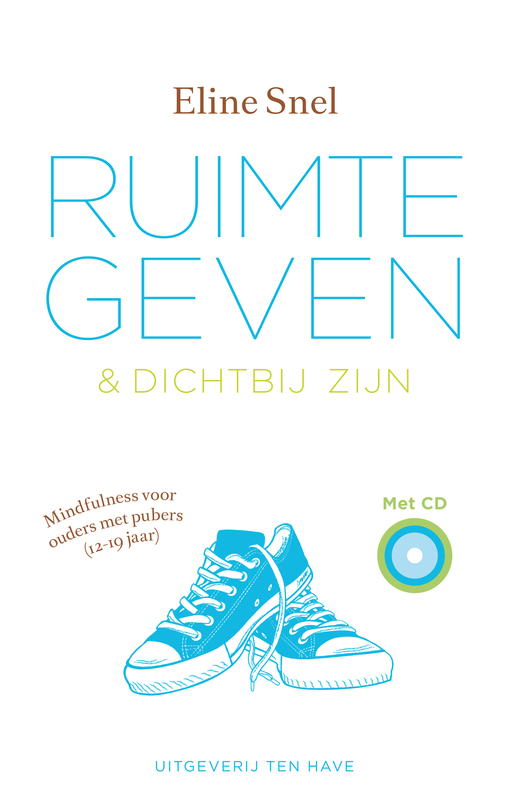 Eline Snel is a mindfulness trainer. Her method ‘Mindfulness Matters’ has had success in the Netherlands, France, Germany and Hong Kong. Sitting Still Like a Frog has sold more than 22,000 copies in the Netherlands and has been translated into French, German, English, Spanish, Norwegian, Danish, Korean, Russian and Catalan. Turkish, Japanese and Complex Chinese Characters rights have also been acquired. The book has sold 350,000 copies in France alone. At home and at school, children often feel stressed and restless. 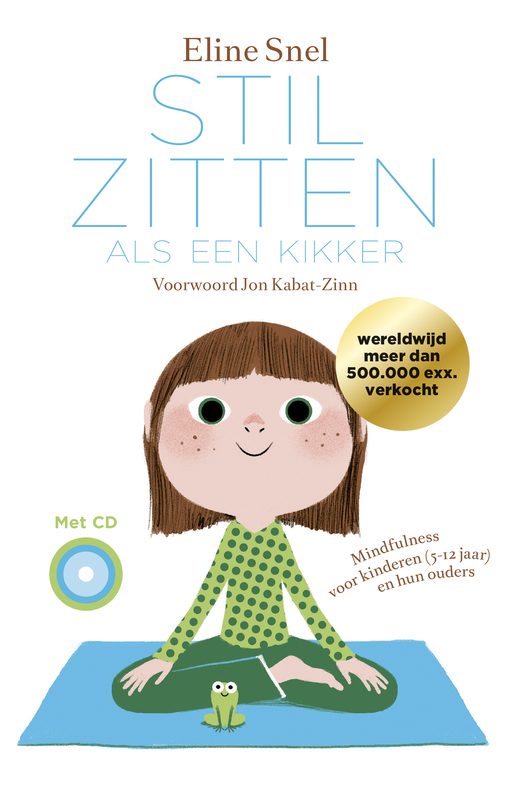 To teach them how to be calm and attentive, Eline Snel has developed a simple form of meditation that enables children to become aware of their bodies and emotions, and be more open to others. Over the past few years, her book Sitting Still Like a Frog has become an invaluable guide to help them grow and guide them during their childhood. Eline Snel has a real gift for engaging children, and the method she developed is incredibly simple and playful. This is the first workbook for children aged 5 to 8, and it contains 80 fun and useful activities, stories and games to enjoy alone or with a parent. More than a million children worldwide have learned to focus and relax using the frog method. Rights sold: Les Arènes (France), Shambhala (USA/World English), Kairós (Spain/Castilian and Catalan), Arneberg (Norway), Pegasus (Turkey), Phoenix (Russia), Goldmann/Random House (Germany), Gads Forlag (Denmark), Dong Al Il Bo (South-Korea), Living Psychology Publishers (Taiwan/Complex Chinese Characters), Samgha (Japan), Scolar (Hungary), Red Edizioni/Il Castello (Italy), CoJaNaTo (Poland), Chemical Industry Press (China/Simplified Chinese Characters), Rocco (Brazil), Natur & Kultur (Sweden), Albatros Media (Czech Republic), Modan (Israel), Thaihabooks (Vietnam). 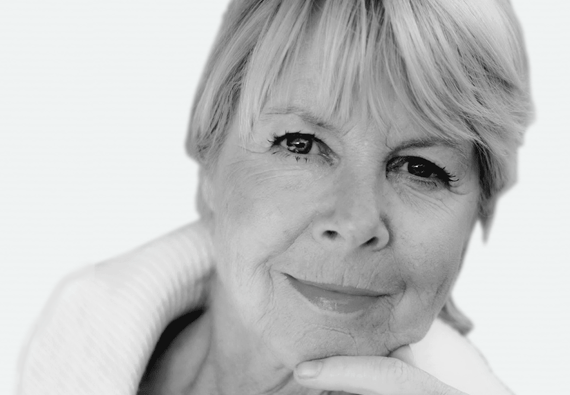 Eline Snel is a mindfulness trainer and her method has been a success in several countries around the globe. 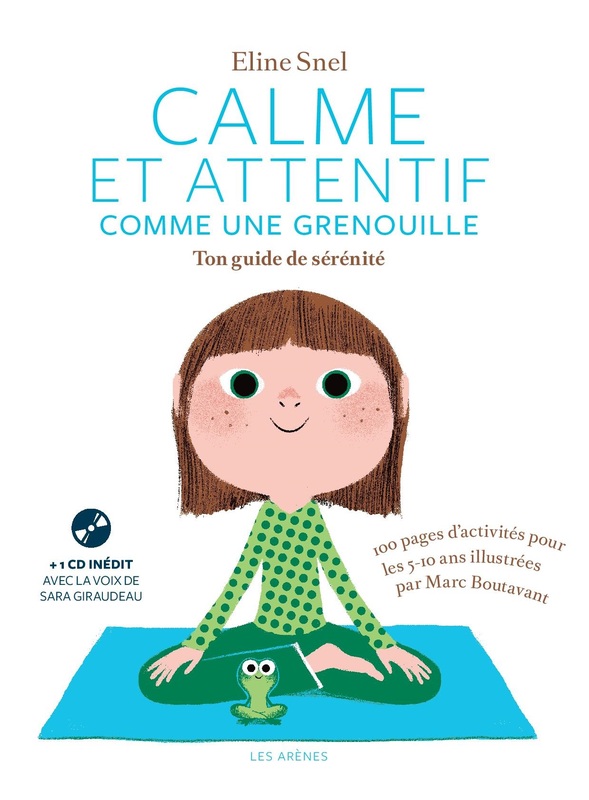 In her book Sitting Still Like A Frog, she explains how to teach mindfulness to children, in an entertaining and informative way. The book is illustrated and contains a CD to facilitate the training. It has sold over 22.000 copies in the Netherlands, over 74.000 copies in the US (since December 2013) and 150.000 copies in France. Rights sold: Shambhala (USA/World English), Kairós (Spain/Castilian and Catalan), Herder (Germany), Arneberg (Norway), Pegasus (Turkey), Scolar (Hungary), Bookshill (South-Korea), Living Psychology Publishers (Taiwan/Complex Chinese Characters), CoJaNaTo (Poland), Red! Il Castello Group (Italy), Albatros Media (Czech Republic). Teenagers are funny, vulnerable, unpredictable and sometimes downright difficult. They crave independence, but they are often not yet ready for it. This demands a great deal of energy, not only from teenagers themselves, but also from their parents and teachers. The book, with the accompanying CD, offers practical mindfulness exercises that teach teenagers how to reflect on their own behaviour and teach parents not to immediately react to the behaviour of their children. Breathe Through This helps to set boundaries and communicate better. Courage, confidence and compassion are essential. The exercises in the book will help adults, but also teenagers, to strengthen these qualities. An app has been developed by Eline Snel together with MindApps, exclusively for teenagers. The English-language version (The Sitting Still App) is available in the AppStore.